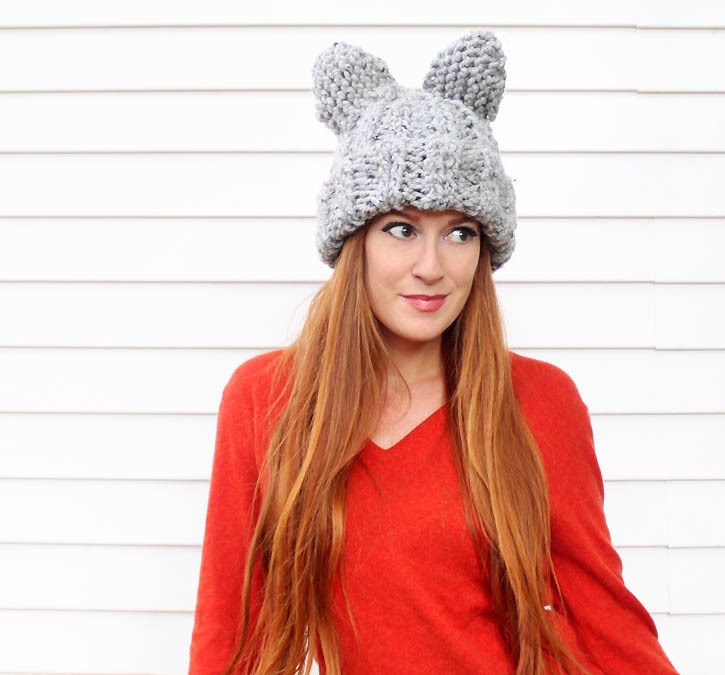 One of my most popular knitting patterns has been this cat ear hat inspired by Eugenia Kim I made a while back. I guess you guys are as crazy about cats as I am! 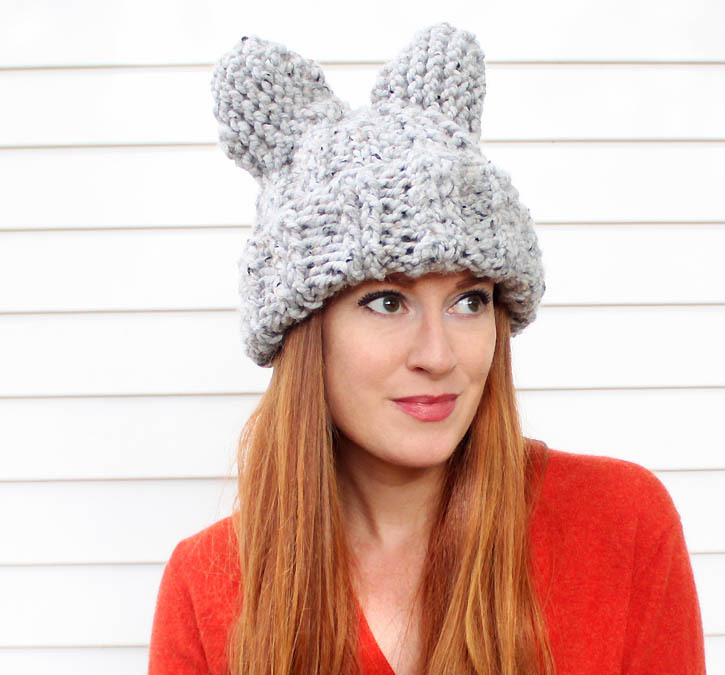 This time I decided to create a pattern that was in heavier yarn with more pronounced ears. I hope you like it! Row 27 (Dec Row): *K2, p2, k2, p2tog; rep from * across row Row 28: *K1, p2, k2, p2; rep from * across row. Row 29 (Dec Row): *k2, p2tog, k2, p1; rep from * across row Row 30: *K1, p2; rep from * across row. Row 31: *K1, k2tog; rep from * across row Cut yarn, leaving an 8 in. tail. Thread tail through stitches of last row and pull to secure. Use the tail to sew the side seam together. Ears are knit in Garter Stitch. Cast on 5 sts. Increase 1 stitch each row (on the same side) until you have 10 stitches. Knit 2 rows. Decrease 1 stitch (on the same side as the increase sts.) until you are left with 5 sts. Bind off. Sew 2 ears together at the sides and then sew on to the top of the hat. I love this pattern. I made it for my daughter – now my 21/2 year old granddaughter wants one too — is there a child version? Thank you! I've received a lot of requests for a child's size. I will post the pattern this Friday.